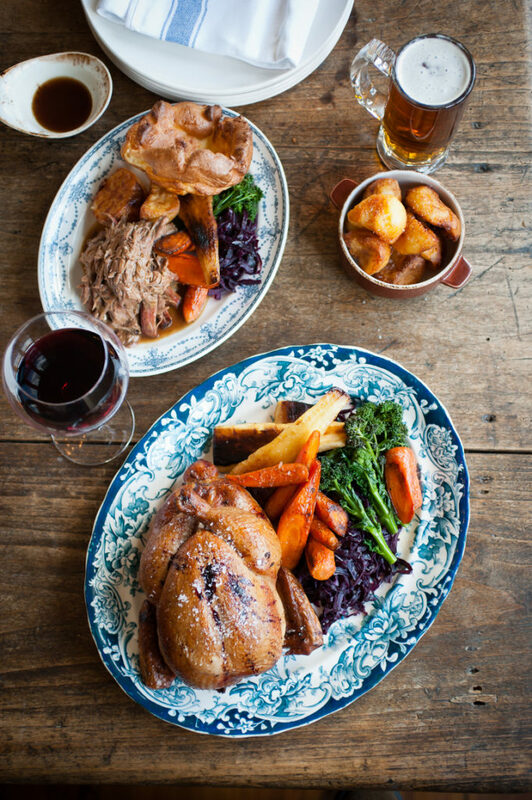 The Pig and Butcher serves the best Sunday roasts in Islington. It has opened in 2012 and has quickly become an institution in the neighbourhood. The building was originally built in the mid-1800s, when the area was a village and farmers would send their production to Smithfield’s Meat Market for sale. Besides the tables inside, there is a stunning private dining room on the first floor, and also 4-6 tables outside. They only take seasonal meats from selected farmers which are then butchered on site. As a result, the menu changes daily depending on what they get from the farms. They specialise in rare breeds such as White Park cattle, Iron Age pigs and Hebridean lamb supplied mostly by Chart Farm in Kent. The fish is supplied by Celtic Fish & Game, a family run business based in St. Ives, Cornwall. All their fish is landed daily from four local ports. In the bar, their serve craft beers, wine from family-owned vineyards only, aperitif cocktails and a selection of local hand pulled ales. It is normally super busy so you will need to book a table in advance. The Duke of Cambridge was opened in 1998 and became Britain’s first ever organic gastropub. 15 years later, in 2014, they joined up with Riverford, the Devon farm and vegetable box company. 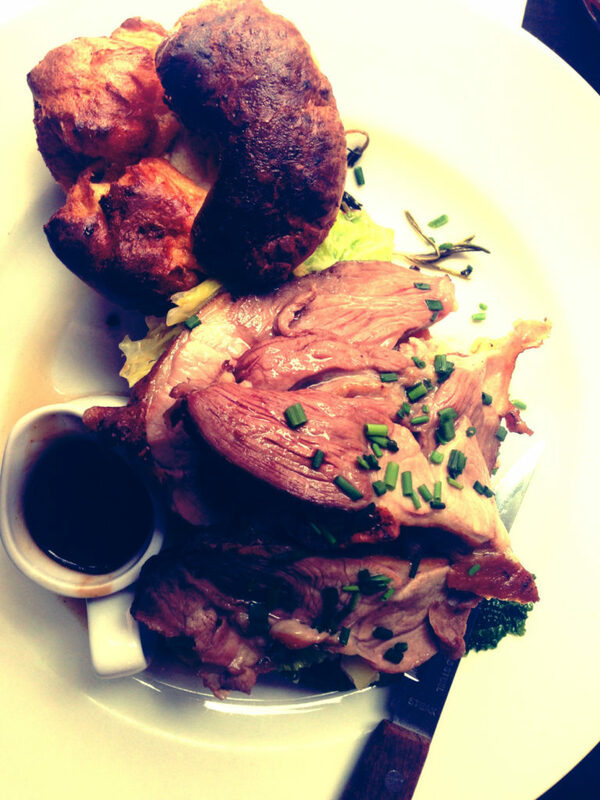 Their Sunday roasts are delicious, so as the rest of their food. They combine great presentation and attention to detail. Its ingredients are 100% organic and certified. They also have a strict fish policy, ensuring only UK fish caught through sustainable fishing (MSC-certified fisheries) with minimal discards are used. The menu is chalked up on a blackboard and adjusted according to availability. They have a few tables outside, a spacious and nice area at the entrance and also a quieter dining room at the back, which you need to book. The furniture is second hand, repurposed or recycled, following their ethical principles. They also recycle the glass, cardboard, paper and tins, and the food waste is collected for generating energy via an anaerobic digestor. Beer, wine and soft drinks are also organic, so don’t expect to find Coca Cola. The same for Coffee, which is made using a Bialetti moka pot, and not a modern machine. The Crown is one of the most picturesque pubs in Islington. Wooden round bar in the middle, surrounded by wooden tables and chairs and a real log fire. There is also a gorgeous patio with 5 or 6 tables, surrounded by trees and flowers. This classic pub has a great personality and atmosphere, and it is located in the heart of the neighbourhood, along with leafy streets and beautiful houses. 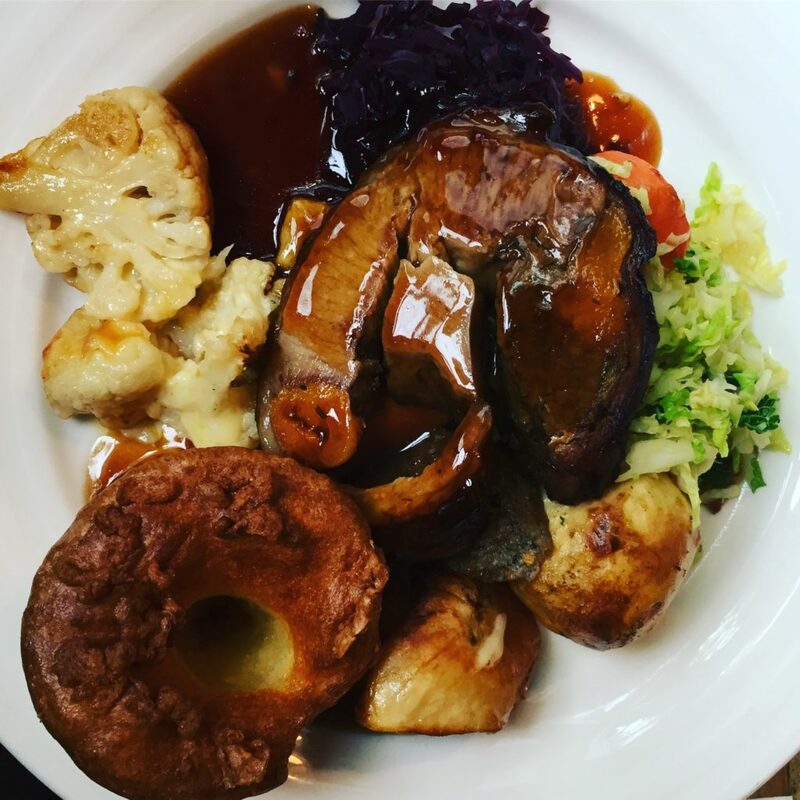 They serve traditional Sunday roasts based on pork, lamb, fish, beef, and also a couple of vegetarian and vegan options. The wine list is extensive enough and so does the beer, which includes London Pridemall year round. The staff is friendly, the portions are generous, and the prices are average, so good value for money. It is owned by Fuller’s, but it really feels like a local and family-owned pub. 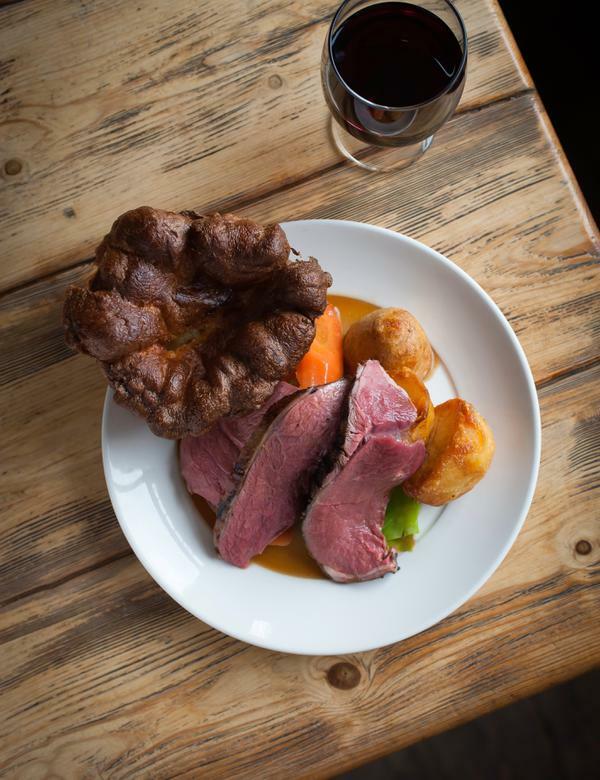 Smokehouse Islington opened its doors in August 2013 and has also become a popular choice for Sunday roast. It is owned by the same company as The Pig and Butcher (they have 4 pubs and restaurants in London). It is located in a very nice corner on Canonbury Road which includes an outside sitting area. They take reservations in the dining room, but also walk in tables are also available in the pub and garden. 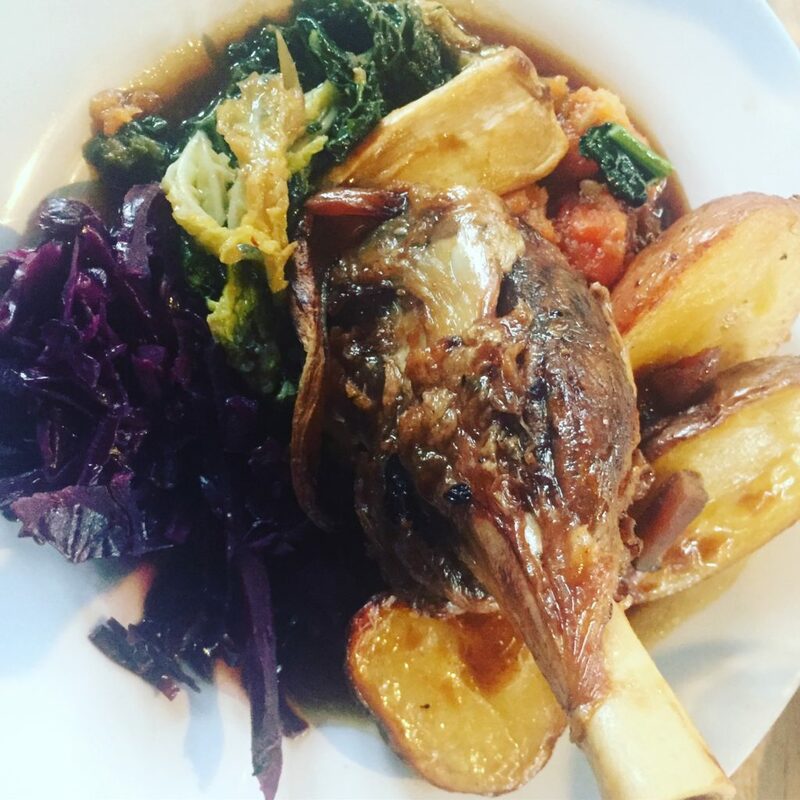 Their philosophy is still the same, working with the best farms in the UK and butcher the meat on site to create a specials board bursting with coal-grilled prime cuts and slow-cooked specialities. Last but not least, they have an outstanding beer selection with 20 on tap, 60 in the bottle and source wine from small family-owned vineyards only. The Union Tavern is located on Islington’s limit, so closer to Kings Cross/Clerkenwell, but it well deserves a place in this list. Warm atmosphere, friendly and helpful staff, delicious food, craft beers, real ales and an extensive wine list. They also give you hot bread and butter for free, which is always a good start. There are two rooms, one for the pub and one for the restaurant. Their menu changes regularly as they also use seasonal ingredients from, where possible, local suppliers. They serve classic pub dishes as well as creative modern a’la carte menu. They also offer a great value option with a set lunch menu at £7.95 for 2 courses. It is opposite the Crowne Plaza so can be quite busy at dinner time.